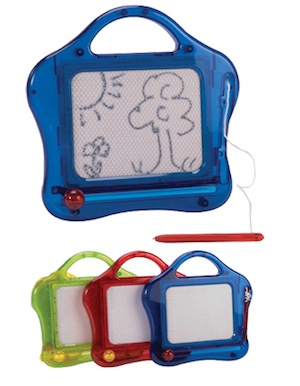 These plastic travel boards give kids the ability to always have a blank canvas. Draw all you want with the magnetic pen then erase and start over with the swipe of the lever. Measure 6 _" across. Ages 3+. Price per sketcher. Colors subject to availability.